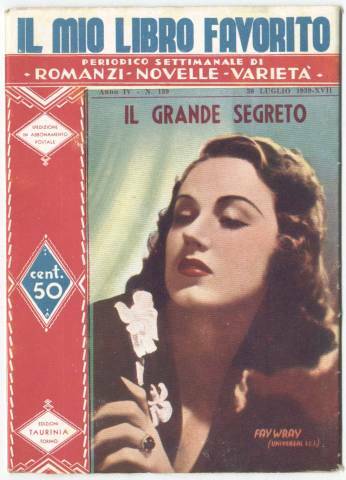 Vina Fay Wray was born September 15, 1907 in Alberta, Canada. Her family lived at Wrayland, the family ranch. Fay spent her days with her mother and her three older siblings Vivien, Vaida and Willow. The family left Canada for an Arizona farm while Fay was still a toddler. When the farm proved to be unsuccessful, they moved to Salt Lake City and Lark in search of opportunity, but the family struggled. The Wrays were divorced and Fay's mother moved the children back to Salt Lake City. When an influenza epidemic in the winter of 1918 claimed Vaida, delicate Fay was sent to live in sunny Los Angeles. She was chaperoned by William Mortenson one of Willow's suitors. He found a series of families to take her in and she started junior high school. She was popular and earned high grades. William worked in a photography studio and Fay often posed for him. One day, She jokingly posed in a sultry style. She sent the picture to her mother, who, certain that her daughter was being compromised, came to Los Angeles. 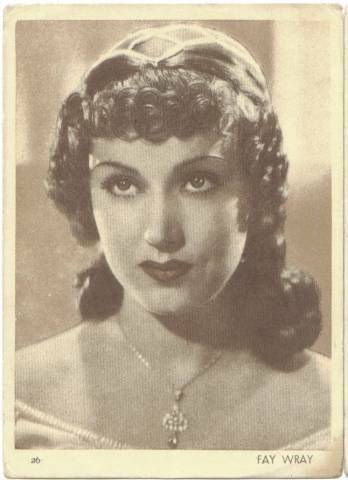 After school, Fay had appeared in a few bit roles for Century Studios. One day, as she and her mother walked by the studio, some producers recognized her and invited her to appear in their new movie. Fay decided that she preferred acting to school. She walked into Hal Roach studios and asked for work; the amused studio head gave her a six-month contract. At Roach, she polished her "damsel in distress" technique in numerous comedy shorts. After Roach studios, she made western shorts for Universal. One day, a friend suggested Fay to star opposite Erich Von Stroheim in "The Wedding March" (1928). When Fay met the intense director, she was so overcome that she burst into tears. He was touched and instantly hired her for the role. Von Stroheim's methods astounded Fay. She didn't have to slather on greasepaint, the sets were elaborate and the smallest details were important. She was enamoured of Von Stroheim, but when she confessed her feelings, his advances frightened her. The production went over budget with six hours completed. The movie and Fay's contract were sold to Paramount. The resulting films, "The Wedding March" and "The Honeymoon", were released with numerous cuts, but have nevertheless endured as silent masterpieces. After making a few 'B' pictures for Paramount, the studio cancelled her contract in 1929. On the lot, she had met a handsome screenwriter named John Monk Saunders whom she soon married. Saunders was deeply mentally disturbed. He constantly chased women and struggled with drug abuse and heavy drinking. Fay puzzled over his behavior. 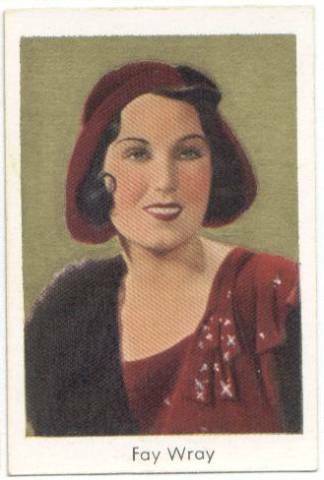 In 1931, Fay traveled to New York to appear onstage in "Nikki". There she met producer Merian Cooper. He asked Fay to star in his new horror movie, "King Kong" (1933). She agreed to film test scenes in the clutches of a six-foot model ape hand. Cooper told her to scream loudly and often. Sometimes she was really screaming; the hand had flexible fingers which would often loosen and nearly drop her several feet. Fay was mortified when these scenes appeared in the final print. "Kong" had so many intricate special effects that Fay made other movies while waiting between set-ups. Producers knew that Fay was in a big horror production and they offered her similar roles. 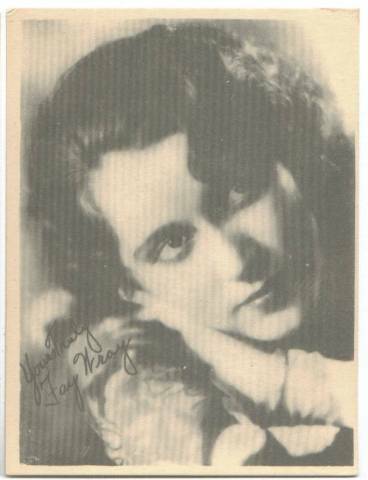 These are most enduring of Fay's movies and they include "The Most Dangerous Game", "Doctor X" (both 1932), "The Vampire Bat" and "Mystery of the Wax Museum" (Both 1933). After finishing "Kong", Fay traveled to England with Saunders. There she made an installment of the "Bulldog Jack" series and another thriller, "The Clairvoyant" (both 1934). One night, Saunders suggested that Fay go home and get a divorce. A stunned Fay went home, but to finalize her American citizenship. She returned to England determined to have a child, even if her marriage was over; soon she was pregnant by Saunders. While Fay's personal life remained in turmoil, "King Kong" was released. Its success shocked her. She was proud of the movie that rescued RKO from bankruptcy. When Fay gave birth to a daughter, Susan, Saunders showed little interest. They agreed to separate. Still, Fay occasionally brought Susan to visit Saunders. 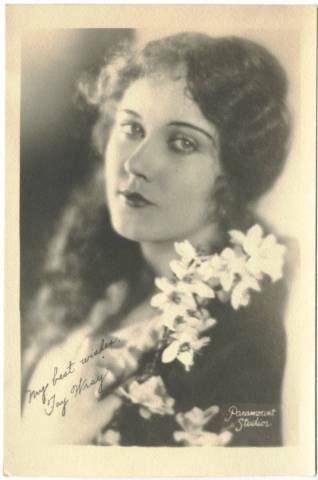 Later that year, Fay left for New York to accept a stage role; she needed money badly. In her absence, Saunders sold their house and belongings and disappeared with Susan. Fay found the pair in a New York hotel. She was relieved that Saunders had hired Susan a nanny. She felt that Susan was safe and left for a movie in Hollywood. They disappeared again and Fay tracked them to an East Coast hospital. Saunders was under psychiatric care while Susan stayed in the children's wing. They finally divorced in 1939. Fay eventually found the love of her life with screenwriter Robert Riskin. At first Riskin was more smitten than she was, but she came to adore him. She proposed, and he accepted. They had a son, Bobby, and daughter, Vicki. The family would often get together at the end of the day for what they called “The Children’s Hour” a time for fun and games. Their peaceful life changed when Riskin suffered a heart attack. He was sent to live in a nursing home, and Fay was constantly with him. His condition worsened over five years of illness until Riskin died in 1955. Now Fay had to work. She easily found character parts in television and film. Joan Crawford wrote her a welcome back note when she learned she'd been cast for a bit part in "Queen Bee" (1955). Her peers were supportive and happy to have her back. In 1970, Fay married one of Riskin's physicians. She made her last screen appearance in the television movie "Gideon’s Trumpet" (1980). Since then, she has devoted her time to writing, traveling, and personal appearances including the fiftieth anniversary celebration of "King Kong" and on Capitol Hill to lobby for the royalty rights of golden age screenwriters. Though Fay Wray will always be most famous for starring opposite a large ape, she shined in many roles throughout her career. Her films are well worth finding. Kendahl Cruver is a writer based in Seattle, Washington. She also writes about classic actresses for Suite101.com. This is her second submission to The Movie Profiles & Premiums Newsletter. 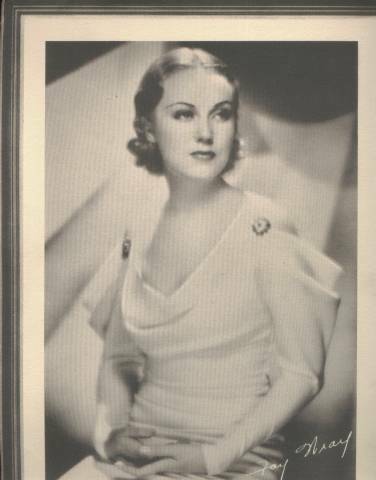 Denny Jackson's Fay Wray Page -- King Kong's Leading Lady! The Silent Collection by Tammy Stone featuring Fay Wray -- A second Fay Wray profile right here on things-and-other-stuff.com!